At Fuorisalone (Milan) Candy is presenting The Playful Living project, a home designed for contemporary families. An apartment of 150 square meters, divided on two levels, where living is simple and pleasant. Objects, materials, lights and furnishing solutions make it possible, transforming the gestures of everyday life into a game shared between adults and children. 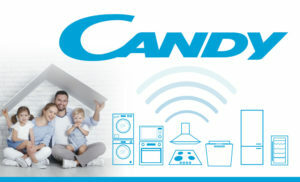 In this context, Candy’s home appliances and solutions are included. Inside the house, the company presents a complete range of household appliances (oven, hood, microwave, dishwasher, wine cellar, refrigerator, washing machine and dryer), able to simplify the everyday life thanks to smart and user-friendly solutions and products.